The old town of Kingscourt called Cabra village was situated between Cabra cottage and Cromwell’s bridge in the Forest Park. 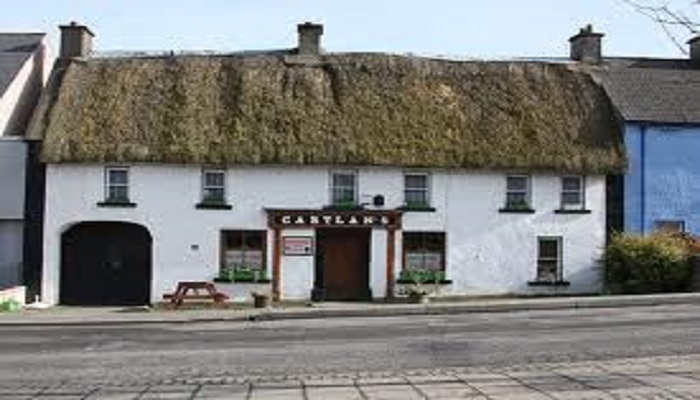 Before 1760 there was a thriving community of about 30 houses, centered around the flax and corn mills at Cabra Cottage. With the building of the town of Kingscourt the houses were gradually demolished to provide building materials and little now remains.The present town of Kingscourt was built by Mervyn Pratt and later Rev. Joseph Pratt from 1760 to 1770. 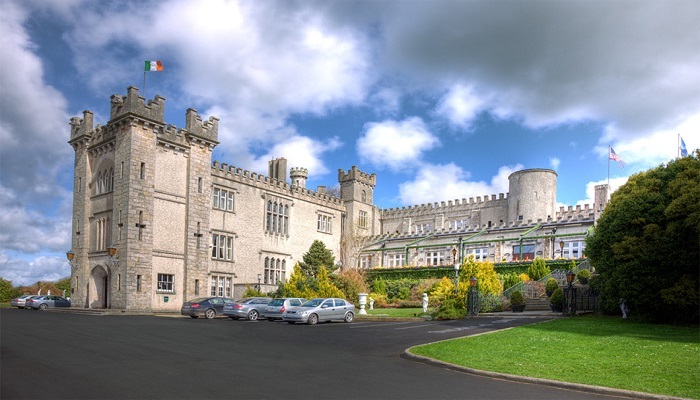 Its name derived from the fact that King James 11 held court for one night at Cabra Castle (then Cormey Castle) on his way to the battle of the Boyne. 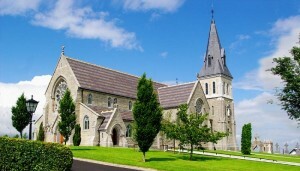 Bailieborough, like its neighbouring town Virginia has its origins in the plantation of Ulster. William Bailie, a Scottish “undertaker” or Planter, was granted the lands of Tonergie (Tandragee) in East Breffni, by James 1 of England. He built a castle and enclosed the demesne by 1629. On his death the estate passed to his son, William, Bishop of Clonfert. The Bishop’s daughter married James Hamilton and on the Bishop’s death they inherited Bailieborough Castle. Henry Hamilton, their son, was a member of the Irish House of Commons and during the Williamite War chose the winning side, but died at the Siege of Limerick in 1689. 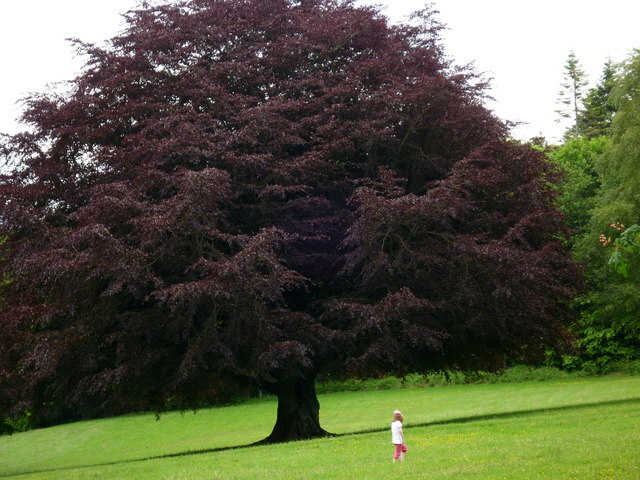 The park is situated 1 mile North of the town of Kingscourt on the R 179 road to Carrickmacross. The park was the former grounds of Cabra Estate. It was bought by the Department of Forestry and Lands, in 1959 and was developed as a tourist attraction in the 1960’s. Walks were laid out and new trees planted. Many of the old trees remain; a magnificent old Chestnut tree still stands in the middle of the park. In the Forest Park there are still many remnants of the past. The Ice-house which served Fleming’s Castle still stands. Fleming’s Castle was demolished by Cromwell. The remains of a military barracks stands quite near the ruins of the Castle. The wishing well itself is famed in a song by a local person Eilish Boland (nee Farrelly) whose 1950’s air ” DOONAREE” became a chart hit, and was later recorded by many singers bringing International fame to Kingscourt. … is set on 100 acres of gardens and parkland with delightful views over the Cavan Countryside, famous for it’s beautiful lakes and fishing. Formely known as Cormey Castle, the property was bought in the early nineteenth century by Colonel Joseph Pratt who rebuilt it, renaming it as Cabra Castle. 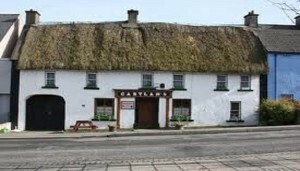 Present day, it is now a hotel run by the Corscadden family. The Castle has it’s own beautifully situated nine hole golf course. It is also a popular venue for Weddings and Private Functions. Visit: the Cabra Castle website. The church was built in 1870. It is a fine example of gothic architecture, which is the design of Mr William Hague, Dundalk. It accommodates 600 people and was built for £10,000 by Rev. Peter O’Reilly P.P. The site of the church was the gift of Rev. James Pratt of Cabra Castle on a lease of 999 years for the payment of one peppercorn annually. Fr James Birmingham built Kingsourt’s first Roman Catholic church in 1912. This church was built immediately in front of the present church. There are Four Stained Glass Windows by the Artist Evie Hone.